How to Best Use Credit Card Reward PointsEliminate The Muda! One of the biggest benefits of using a credit card is the ability to collect reward points for every dollar that you spend. At some point, though, you need to make decisions on how to use the points that you have accumulated. 1. Save your points for something big. As you know, you can cash in reward points for everything from small denominations of cash to flat screen televisions, cruises, and airline tickets. Rather than spend your points the first chance you get, why not hold onto them for something that you really want? Often, but not always, points will convert at a more valuable rate as you save up more and more points. I am the type that prefers to hold reward points until I really need them, and can get something huge in return. Most recently, I cashed in 50,000+ points for a four night stay in a downtown hotel. While this was a lot of points, in return I received something that I really wanted. Not to mention the fact that it probably saved me close to $1,000. 2. Splurge because you are not spending your own money. Many people, including myself, often times find it difficult to spend money on things they “want.” While there is nothing wrong with being cautious, from time to time you need to treat yourself. Doing so with reward points is much easier because there is no real cash coming out of your pocket. Every so often, I take a few thousand reward points and buy something small from the catalog that my credit card company sends me. I get to satisfy a guilty pleasure of mine without my wallet taking a hit. 3. Travel. Whenever possible, I like to use a large majority of my points for travel. My credit card company lets me cash them in for car rentals, hotel stays, airline tickets, cruises, and much more. Personally, I feel that my points get the most “bang for the buck” when I use them for travel related purposes. As noted above, I previously cashed in several thousand points for four free nights in an upscale hotel. Along with this, my last vacation to Florida was partially funded by reward points. I was able to cash in my points for one free plane ticket and a rental car for three days. Sure, I still had to pay for other aspects of my travel, but this was a great way to cut costs while still having a good time. 1. 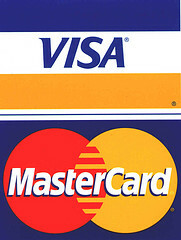 Always use your credit card for large purchases IF you can afford to pay the balance in full. This gives you the chance to accumulate large chunks in a short period of time. 2. Know the ins and outs of your reward card system. Do you receive one point for every dollar that you spend? Can you receive more than this for using your card at certain locations, such as gas stations and restaurants? The more you know about your reward card the easier it is to take full advantage. This is only my opinion on how to best use credit card reward points. Over the years, it has worked well for me while helping save thousands of dollars. We just cashed in about 62k points and got the kids a Wii, extra remote, and charger as their Santa present. Travel is one of the best way to use points. New experiences and seeing new places is a great way to spend points because you will ultimately enjoy a vacation more than cashing in on material things. I don’t get points per se… My master card through BoA contributes to paying down my student loan (UPromise). I get 1% back on every purchase with other categories going as high as 20%. Not only do I immediately save that money by reducing the principal of my student loan, it saves me by not having to pay interest on that money down the road. It’s the best of both worlds if you ask me. If you don’t have a loan, you can direct it to a 529 for future education expenses for yourself (or children, after a beneficiary transfer).